This is a guest post by Athena. Athena was educated using A Beka Book and attended Pensacola Christian College. This is an inside view of the atmosphere, education, and attitudes A Beka and PCC, two of the biggest names in fundamentalist education. Starting from kindergarten onward, I was homeschooled, and while my family used a smattering of textbooks from all types of publishers, we heavily relied on A Beka Book distributed by Pensacola Christian College (PCC). I grew up within a few hours of their college campus, so when it came time for me to choose a college, I chose PCC (from an incredibly narrow field of options that only included three other schools, all more fundamentalist than PCC). I come from a religious environment called Christian Patriarchy and Quiverfull, so even going to college, as a woman, was a huge risk. Because of that, my choices as far as profession were extremely limited– I was not permitted to chose anything career-oriented, or that would remove me from my place as a “keeper at home.” This led me to becoming a Secondary Education major, with teaching concentrations in English and music. This is a guest post from Andrew Hall at Laughing in Purgatory. 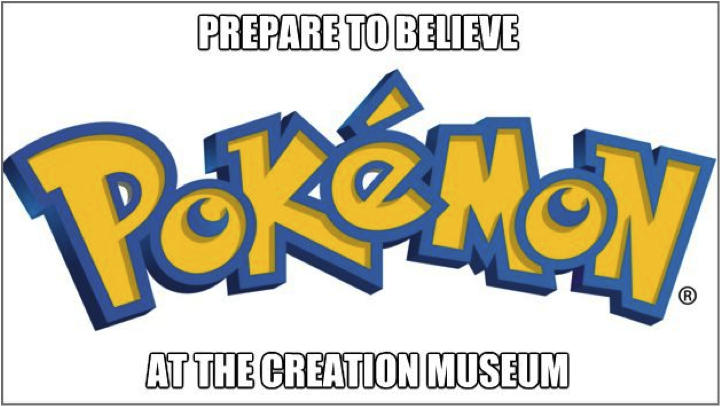 Petersburg, Kentucky The Creation Museum is unveiling its newest exhibit, Pokémon: Fact or Fiction. Christ-centered scientists have been working tirelessly to bring to life the real story of these miraculous creatures. If you’ve read Cat Givens’ harrowing guest post for this blog, The Dogma That Followed Me Home, then you know about Christian reform schools. A while back I posted here on the Leaving Fundamentalism Facebook page a sequence of harrowing CNN exposés on these reform schools in the USA. They’re brutal and I should be doing more to highlight the injustices occurring there. So I’m excited about a new indie flick, Kidnapped for Christ, which is being crowdfunded on Indiegogo. I know I’ve been posting a lot of things which ask for your money lately, but this one seems particularly worthy of your consideration. Rebeldebby is one of the newest ex-ACE, ex-fundamentalist bloggers on the scene. I think she will be worth watching. The first school I attended used ACE. The program sucked! Literally! There was no real interaction, kids were left to teach themselves, and Christianity was constantly being thrown in your face. Our “teachers” were not college educated and they sat around in a circle all day doing nothing but gossip about other church members. No one ever checked up on the students to see if they actually were learning things and not just copying answers out of the score book. I was one of the lucky ones whose parents actually did check up to make sure I learned something. I occasionally get an email from a homeschooling parent, saying something like, “We were going to use ACE for our children, but now we’ve seen your blog, we definitely won’t!” Emails like this are enormously gratifying. There have only been three or four, but they make the whole blog worthwhile. But sometimes I wonder what these parents are going to use instead. Occasionally I’ve also had a smug parent using A Beka, ACE’s main rival, comment something like, this ACE stuff is ridiculous! We use A Beka. It’s much better. So let me say this clearly: If you’ve been reading this blog and feeling smug that you use A Beka and/or BJU materials, stop. They are at least as bad as ACE. There are a bunch of fundamentalist textbook publishers: A Beka, Bob Jones University Press (BJU), AlphaOmega Lifepacs (which are essentially PACEs by another name, as far as I can tell). And everything I read about them is hideous. The only reasons I haven’t mentioned them before are that I don’t have firsthand experience, and their use is rare in the UK. I’m involved, along with Alom Shaha (author of The Young Atheist’s Handbook) and the fine people at the Rationalist Association, in setting up a new thing called the Apostasy Project. The Apostasy Project is for anyone who has doubts about their religion, and no one to talk to about it. It’s for people who secretly don’t believe anymore, but think their family and friends will ostracise them if they admit it. And it’s for people who have left, and are now looking for support. A lot of people have suggested something like a survivor group for former ACE students. At the moment, I don’t have time to run one of those, but the Apostasy Project could offer some of the things an ACE survivor group would do. There’s a series of apostasy stories on the Rationalist blog. We’re aiming to have former members of every religion on the team, so whatever your religious background, there’s an adviser you can relate to. Currently, there are mainly ex- Muslims and Christians (of virtually every stripe, from me to Catholics, via Jehovah’s Witnesses) offering their stories. Mine is here. If you’re a former member of a religion or denomination not currently represented, I’m sure they’d love to hear from you. They also need to raise money to build an online community where people can ask questions and receive personal advice from the team of advisers. You can donate here. Kirsty Newman blogs over at Kirsty Evidence, where she battles the forces of ignorance by advocating an evidence-based approach to international development and education. You’d think that someone with such a cozy relationship with science (and reality) would have little time for fundamentalism, and you’d be right. But in the post, Kirsty wistfully remembers the simpler times when the world was black and white, and thinking wasn’t required. I managed a good thirty minutes before, apropos the Woolwich murder, my father-in-law came out with this statement: “The problem with Islam…” (always a worrying start to a sentence) “…is that the Quran is so ambiguous that it can be interpreted in many ways and this leads people to violence”. I couldn’t stop myself. I had to respond that this was just like the Bible – after all, the Bible is riddled with contradictions and contains a fair amount of violence. “Yes”, responded my father-in-law, “but the message of what you need to do in Christianity is clear” “Really?”, I asked, “But surely you just pick and choose what bits you follow? For example, you eat pork which is banned”. “Ah but the Old Testament was overruled by the New Testament” he replies. “So what about the rules in the New Testament that you ignore?” I query “For example, I note that people in your church have braided hair – was that not also banned?” “Well yes, but that was what Paul said, not what Jesus said”. “OK”, I rejoin, “but what about when Jesus said that you need to give all your possessions to the poor?” “Well that was just a message to one person” he replies “And in general we need to follow the spirit of that suggestion rather than the rule…”. A handy guide I wrote for Jesus Without Baggage about what Creationism is, and why it matters to Creationists. Today’s guestpost is by Jonny Scaramanga who blogs at Leaving Fundamentalism. 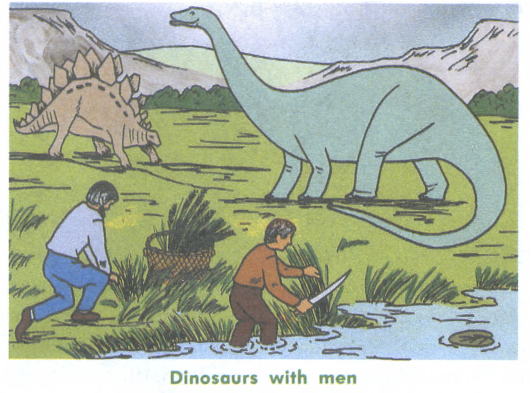 One of Jonny’s areas of expertise is the teaching of creationists and he is perhaps the leading authority on the problems of ACE home school curriculum and learning systems, which teach creationism. On his blog, he also deals with other aspects of Fundamentalist Christianity. Be sure to visit there; it is one of my favorites. Asking what Creationists teach is a bit like asking what Christians teach. It encompasses a lot of different doctrines. Broadly speaking, a Creationist is anyone who believes that God made the universe, which could include people who accept the theory of evolution, but think God started the process.